As many of you know I have recently fallen in love with subscription boxes. Currently I have Birchbox and Ipsy arriving monthly, and I am resisting (and my bank account is resisting!) adding more. Ahhh, I love samples too much! When I subscribed I told myself I would give both Ipsy and Birchbox 6 months then decide which one I like better to keep for the time being. But I love them both, and I am approaching six months soon! What to do, what to do? At the moment I can afford the extra $20 a month so I guess I’ll keep them both! I can easily spend $20 on junk at Walgreens, so I might as well get these surprise packages of happiness each month instead. I feel pretty happy about my subscriptions this month, despite a few (HUGE!) misses. I can’t wait to share what I got with you, so I guess I’ll start with Birchbox, since they were the clear winner this month. The theme was Wanderlust, which I love! 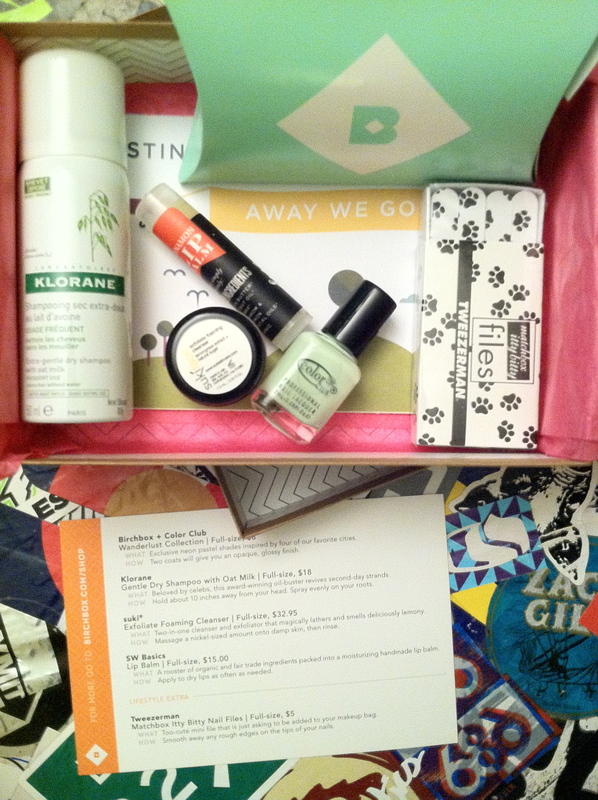 One of my favorite things about Birchbox is that you get points for reviewing each item in your monthly box. Every review earns you 10 Birchbox points, and 100 points equals $10 to spend in the Birchbox shop! Essentially you can earn $10 every two boxes. Also if your order gets messed up or if you receive duplicate items they will usually reward you with points! Because of backordered items I received a few extra hundred points, which I used to buy myself a gift subscription of 3 months in addition to my main subscription. So for three months I get 2 boxes! You have to set up another account but it is so worth it. 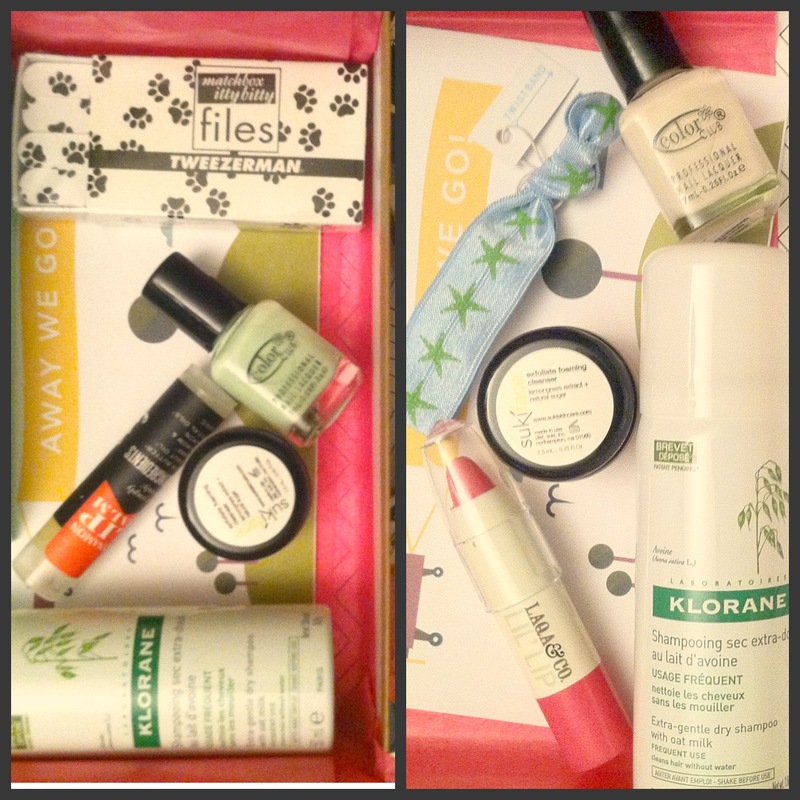 My first box from my gift subscription was a “welcome box”, which is mostly their most popular items from past months. Since I forgot to take a pic of my welcome box I won’t take the time to do a full review. I did get their Beauty Protector Spray, which has rave reviews but I thought was just ok, and a Sumita eyeliner sample in a dark purple, which I loved enough to order a full size. Sumita is definitely my new favorite liner pencil! Nothing else really stood out, but the Welcome Box was pretty good compared to some of the other boxes I’ve received. But on to my main subscription box. I’ll come back to my gift box in a second. This month every box received a Color Club nail polish from the Wanderlust collection, an exclusive kit of 4 neon pastel polishes made just for Birchbox ($8 for all 4) to celebrate their Global expansion, since you can now get Birchbox in England, Spain, and France too! In my main Birchbox I got a neon pastel mint color called London Calling. I immediately put it on my toes and I really love the color, bright but not too over the top. 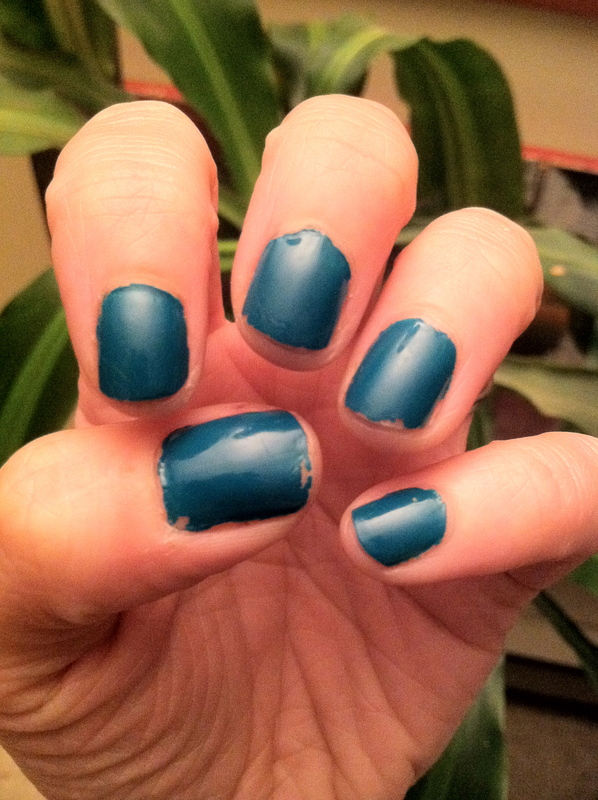 I read quite a few reviews of Color Club polish and a lot were not entirely favorable, but I think it is pretty good! I got a free sample with a Birchbox order of a great emerald color and it held up fantastically, lasted a week or so while working with horses without chipping, which was pretty impressive! Those ponies take a toll on your nails, let me tell you! Color Club in Wild Cactus after a week of wear, and working with the horses! It is a really pretty emerald, even though it looks dark teal. And please ignore my old-lady hands! I also got a box of Tweezerman Matchbook Itty Bitty Nail Files ($5). I got these in my welcome box on my gift subscription too, and I was a little “meh” about it then, I don’t really use nail files that much and certainly won’t use 24 minis. This was listed as a lifestyle extra in the box, but I could still review it for points, so at least there’s that. The box it came in is really cute though, so it will make a good gift. The other three samples I got in this box were all pretty sweet, and after looking at all the other variations of the boxes this month this box was definitely in my top 3 wished-for boxes. Klorane Gentle Dry Shampoo with Oat Milk ($18 full size): This is a decent size and I love dry shampoo, so I will definitely use this. It doesn’t weigh my fine hair down and smells nice, not too perfumey. It seems to add a bit of volume too, which I always need! SW Basics Lip Balm ($15 for set of 4): Man, I have so many different lip balms scattered throughout my life. I wasn’t very excited for this at all, until I tried it. It has a lovely cinnamon flavor/smell and it is made with only 5 ingredients (cocoa butter, coconut oil, beeswax, cinnamon oil and cardamon oil). It feels so great on my lips and adds a nice gloss. If it had SPF I would consider buying all 4. Suki Exfoliate Foaming Cleanser ($32.95 full size): This foaming cleanser and exfoliator is gentle enough for my sensitive skin, foams up nicely, and smells amazing! I would compare it to a lemon pie. A little goes a long way, so I hope to get quite a few uses out of this. It’s a little pricey but I like it so much I might use some points for a full size! *I let the super-sleuths at makeuptalk.com figure out the magic formula to preview all the box variations. Those ladies are amazing, I love stalking the Birchbox and Ipsy forums for spoilers! Some repeats, but I got the pink lip color, yay! So as you can see I got some repeats from my main box, but since I love the Suki and Klorane so much I was quite ok with this! At least the nail color was different. I received a color called Mod in Manhattan in this box, which is an off-white color. It’s not really neon at all but its pretty. I like a nice white or bare nail color when I am tan, so this is perfect for summer. It will look great under chunky glitter or used for nail art too. I also got a Twistband from the Birchbox Nautical Hair Tie Collection ($14 for 6) in this box. I know some people really hate Twistbands but I personally love them and almost always have one in my hair or on my wrist. This is really cute, although I would have loved an anchor-patterned or striped version. This starfish pattern is pretty too though, just not as nautical as I would have liked. 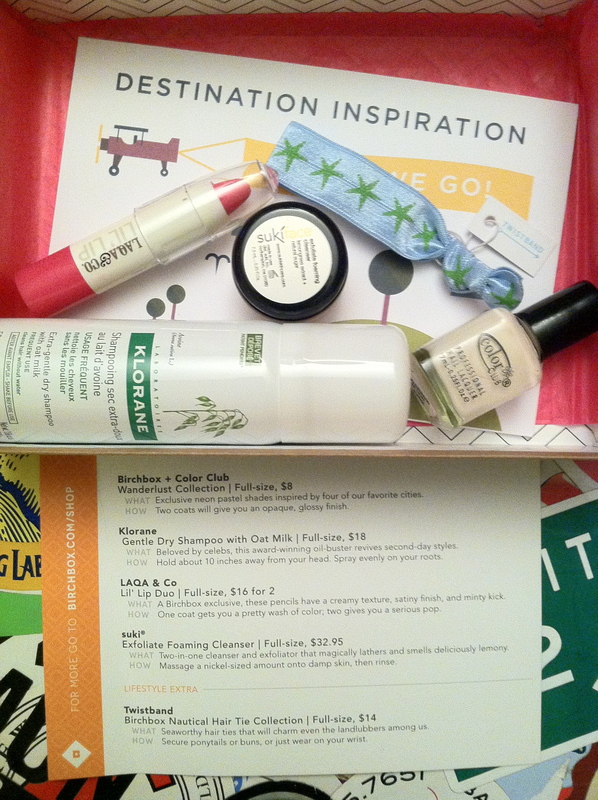 My favorite thing in this box was the LAQA & CO Lil Lip Duo ($16 for 2). I only got one of the duo in my box but that was ok. It is a nice bright pink called Lambchop that goes on smooth and looks amazing with my pale skin. The only problem was it came all mashed into the cap so the tip was smooshed. I emailed Birchbox about it and they are sending me another one! I love their customer service, it wasn’t unusable but it would be nice to have a nice sharp point to apply it. Both of these boxes also contained 5 postcards. The first one had a printed note from Birchbox about travel dreams and their 4 global offices in New York, London, Paris and Barcelona. It also had a code for extra points when you spend $35. The next four were colorful graphic designs of the 4 cities. I saw online someone had framed them in a 4-way frame and it looked great, so you could use these for framed wall art too. I love quirky notes to send to friends so I will definitely use these. So as you can see Birchbox killed it this month. A few repeats between my two accounts, but they were repeats of products I love so I am pretty happy about it! Definitely worth the $10 I paid out-of-pocket. On to Ipsy! 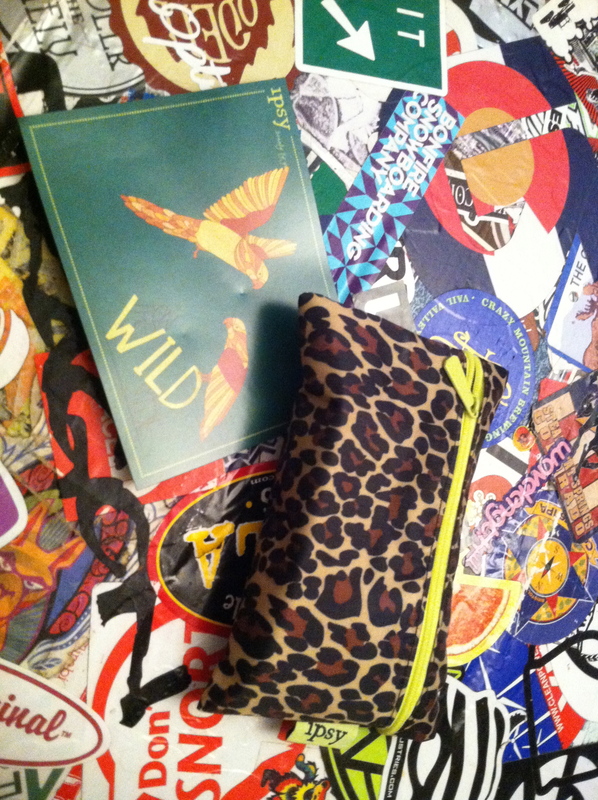 This month Ipsy’s theme was On The Wild Side. Sounds great, right? Except I can’t really see how my bag lives up to that theme. Except for maybe that darn glitter. Oh, the glitter. But we’ll come back to “Glittergate 2013” in a bit. Ipsy changed up their profile questions last month so it is supposed to be a little more customized. However I feel like it would be impossible to customize this for everyone so there has been a lot of grumbling in the Ipsy community about this. I guess it worked for me though, since I got the lesser of two (or three or four) evils this month. There was nothing I was really excited about to begin with, but I did get some things I am surprisingly really happy with. 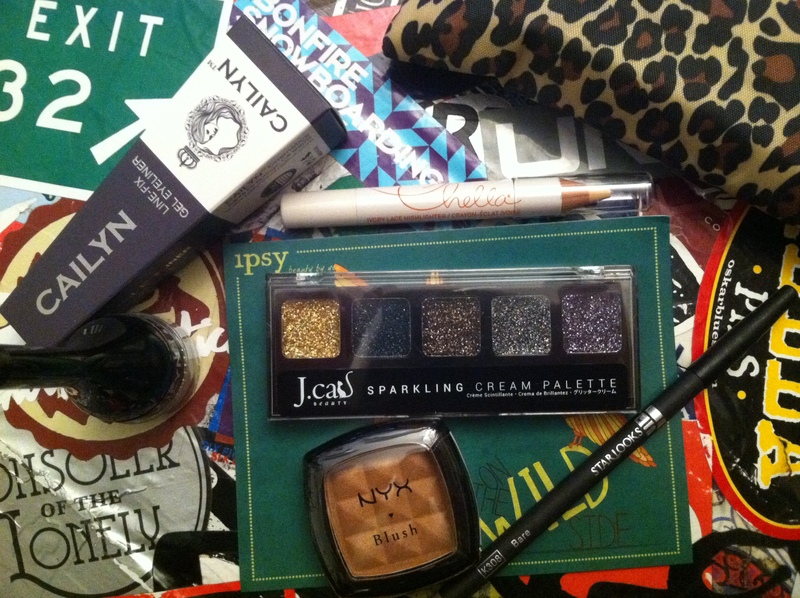 There were quite a few variations of the Ipsy bag this month too. Some are happy about that, some are not. My Ipsy last month was awesome (sorry I got too busy to post it!) and it introduced me to Pacifica, which I love. So this month was a hard act to follow, as my expectations were pretty high for my 3rd Ipsy bag. There were a few things that came in every bag this month. First was a blush by NXY Cosmetics ($5). This is a new brand to me but I like it so far and it is reasonably priced. There were cream, powder, and mosaic options for this blush, and some colors were more like bronzers. I got the powder blush in Sand, which I could honestly use as a bronzer even though it is a little shimmery. I was a little bummed to get a “brown” blush in my bag but it actually looks really lovely on, it makes my cheekbones pop. This might not be a winter blush for me, as I can’t see it working on pale skin without looking dirty, but I plan to use it this summer. I was hoping for a cream blush since I’ve never tried one before but I am happy with what I got. I just recently started occasionally wearing blush and I’ve tripled the amount of blush I own in the last 3 months with my subscriptions (which mean I now own ummm….3 different blushes!). I wouldn’t have experimented with blush at all if it wasn’t for my subscriptions, and I like wearing it more and more! The next thing in every bag was a lip liner by Starlooks ($12, although it looks bigger on the website than the one in the bags). There were some really pretty bright colors in a lot of the bags but I got the color Bare. Or Corpse, as I like to call it. It has a purplish hue to it and it makes me look dead. Soooo gross. Maybe for Halloween I can pull it off, but most likely I will toss it. I did try it as an eyeliner and its not as horrible, but I have so many pretty eyeliner colors I would choose over Dead…I mean Bare. It does have a nice texture though so I bet in the right color I would have liked it. 1. There was clearly an applicator included with this palette that looked exactly like something you use with eyeshadow. 2. This was listed under “eyes” on the JCat website. At least it was until this Ipsy fiasco, when their website mysteriously shut down. It came back up a short time later and the palette was listed under “sparkle” and removed from “eyes”. I call shenanigans. 3. After this started blowing up Ipsy posted some really kindergarten art style “tattoo” photos of their staff, starring the awful glitter as body “art”. Obvious panic mode, “oh shoot, what else can we use this for, we thought it was for the eyes!”. I will pass this along to a friend who loves glitter with a warning about not using it near her eyes. Unless she likes the pirate eye-patch look. There are so many better items they could have included from JCat, but after this I will not be purchasing from them! So there were a few options for the last two items in this bag. There was a fake eyelash option, and a dry shampoo option. I wanted neither, and if I got them this would have been a total bummer of a bag other than the blush. But I got the other two options, which I wanted, so my bag was redeemed! 1. Chella Ivory Lace Highlighter pencil ($18): I was intrigued by this, and excited to try it. I’ve used it a few times and really like it. It doesn’t have any shimmer which makes it more versatile. I’ve been using it on the inside of my eyes and on my waterline to brighten my eyes. It’s not as severe as white liner to wake up my eyes and it blends well if I use it under my browline as well. I’m pretty sure this is full size and it should last me forever! 2. Cailyn Linefix gel eyeliner in Iron ($21): I’ve never tried a gel eyeliner so I am excited to try this when I have an extra 30 minutes to play around with. I have serious trouble applying liquid liner so this might take some practice to master. I am really excited to try it out. There was also a purple option, but I like that I got a nice neutral grey that will go with everything. Overall the value of this bag was high, even totally discarding the glitter crap. I don’t really see anything “wild” in this bag other than the bag itself, which was a cute leopard print with neon zipper. Not really my style, so I will pass it along to my glitter loving possibly pirate eyed friend along with the glitter. Overall I was really happy with my subscriptions this month, and I can’t wait for July! Do you have any favorite subscriptions? Or do you have any questions about Birchbox or Ipsy? Make some comments below! I recently made one of the best purchases ever. In anticipation of our fall trip to Hawaii (still saving for plane tickets, but I am optimistic!) 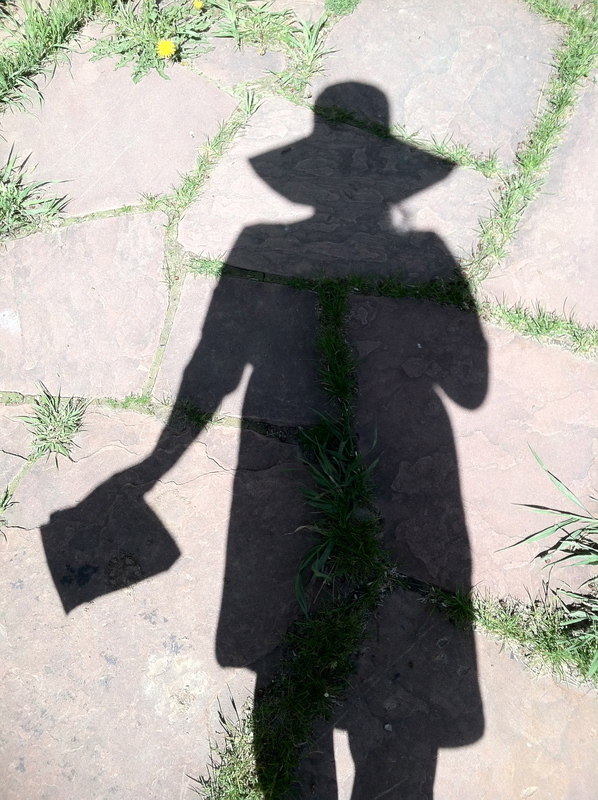 I bought a huge floppy sun hat! I am not a hat wearer, I don’t think I’ve ever even worn a baseball hat, but since I live in sunny Colorado I figured it was a justifiable purchase. 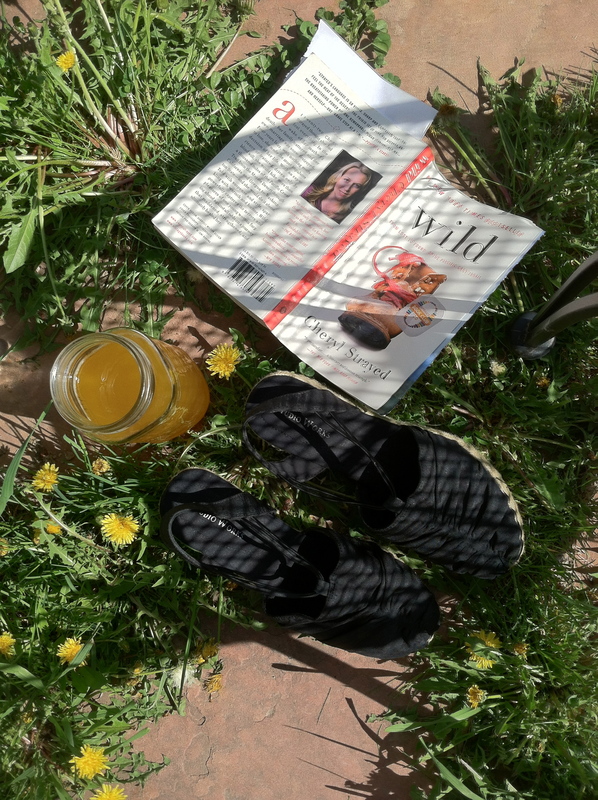 My last day off was a perfect sunny day to sit outside and drink some Redneck Mimosas (recipe to follow) aka BO-J’s while reading and wearing my wonderful Audrey Hepburn-esqu sunhat! 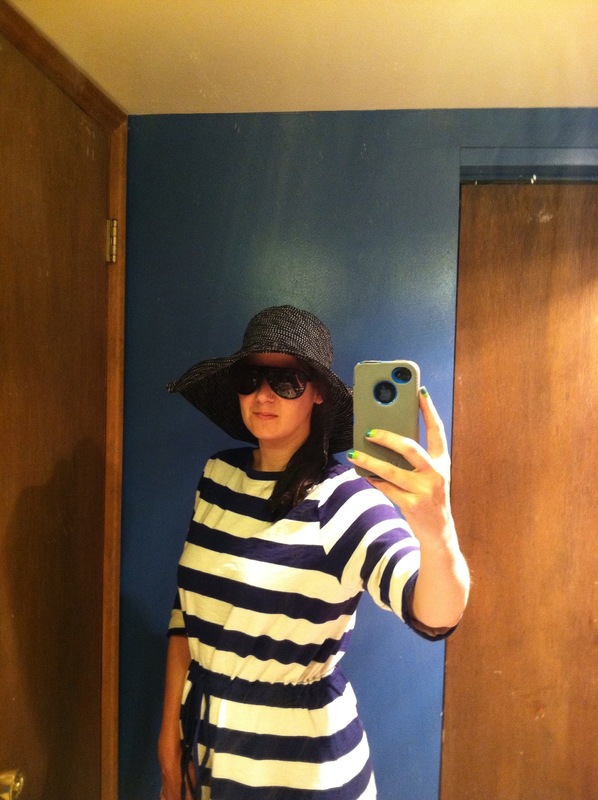 I found this dress with nautical stripes and cinch waist at the thrift store, and I think it goes perfectly with the hat and shades! 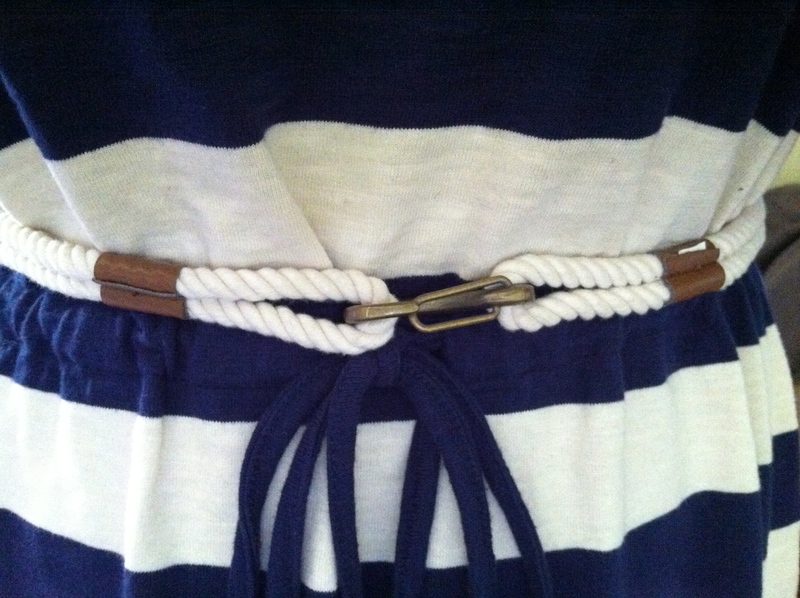 I added a thrifted rope belt for more of a nautical feel and black rouched wedges (from the thrift shop as well!). I’m ready for the yacht club now! Rope belt, $3 at thrift shop. My most recent book was Wild: From Lost to Found on the Pacific Crest Trail by Cheryl Strayed. This is an epic story about one woman’s journey on the PCT, solo. It was a pretty quick read and totally sucked me in. However It did NOT make me want to strike out on this trail that runs basically from Mexico to Washington state. I can hardly handle a 10 mile hike, let alone 2,663 miles! No thanks, it’s not in my DNA. I’d much rather sit in the sun, drink some beertails and read about it! This book was great, and the beertails were even better! So about those “beertails”. A few years ago my friend Brett introduced me to the BO-J. I know, it sounds a little dirty, but it basically is beer and orange juice mixed together. It is similar to a Brass Monkey (malt liquor and OJ) but is much classier. 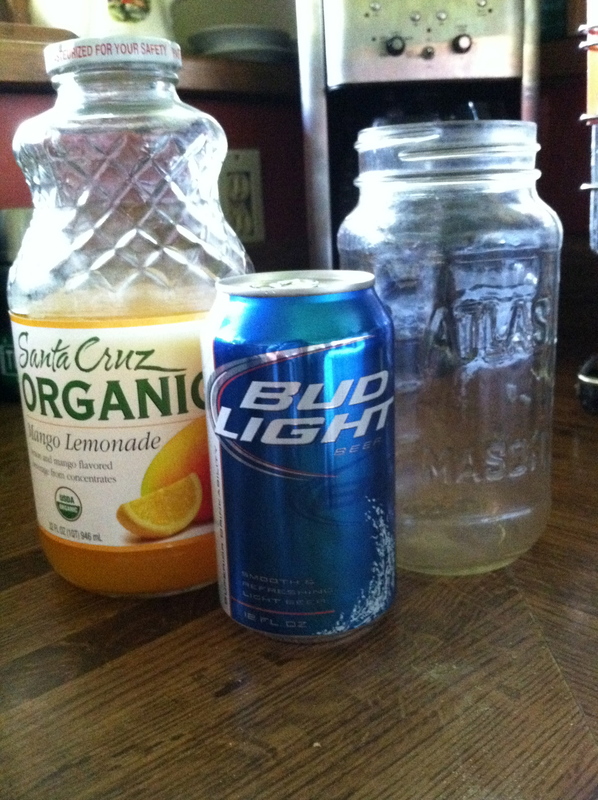 Brett’s version consists of Corona, which you drink down to just below the neck then add OJ to the top. But like most recipes I had to put my own spin on it! I use about 1/2 cup lemonade, but use more or less depending on your taste. The recipe of the summer! 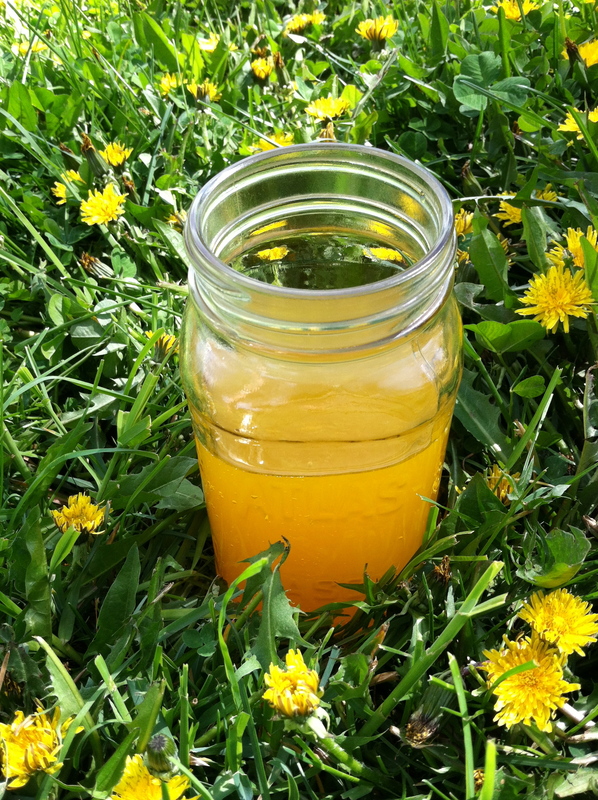 This is a wonderful refreshing drink on a nice summer day, and perfect for a backyard BBQ! You can also use other juice, I’ve made it with an orange, mango, and pineapple juice before and it was awesome! Do some experimenting and let me know what you come up with! Maybe you’ll hate it, but give it a try. People always look at me like I am crazy until they take a sip. Even my manly husband likes it! 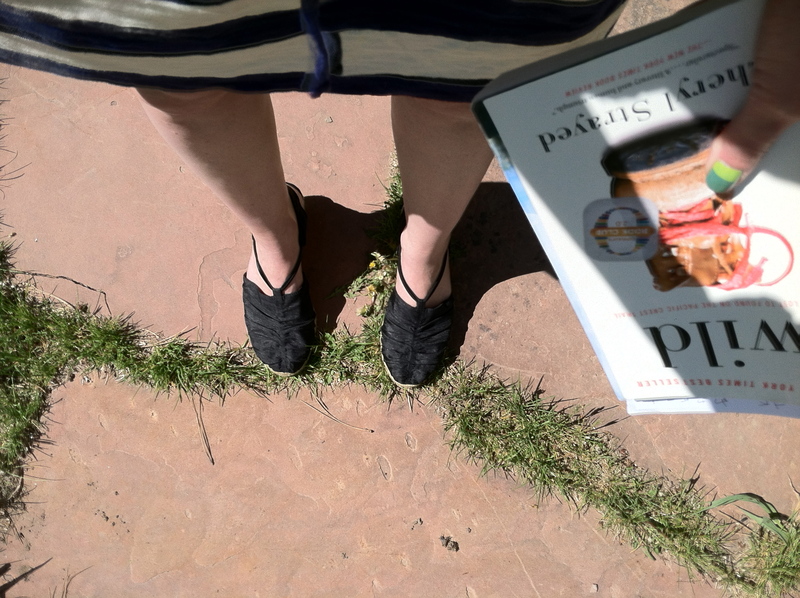 So this is how I am keeping it classy in Colorado. What’s your go-to summer drink? Read any good books lately? Leave me some comments below! I have a dirty little secret. I get great pleasure out of reading US Weekly, InTouch, and People magazines. Yes, I know it rots my brain. Yes, I am ashamed to support the paparazzi and other scumbags. And yes, I love seeing that celebrities are just like us! They pump their own gas! They go to the ATM! They buy orange juice! But seriously, my favorite ‘article’ is the “WHAT’S IN HER PURSE?? ?” feature. So when my fellow blogger over at Beauty and Lifestyle of A Broke College Girl posted her unbagging and invited others to do it too I thought “why not?”? 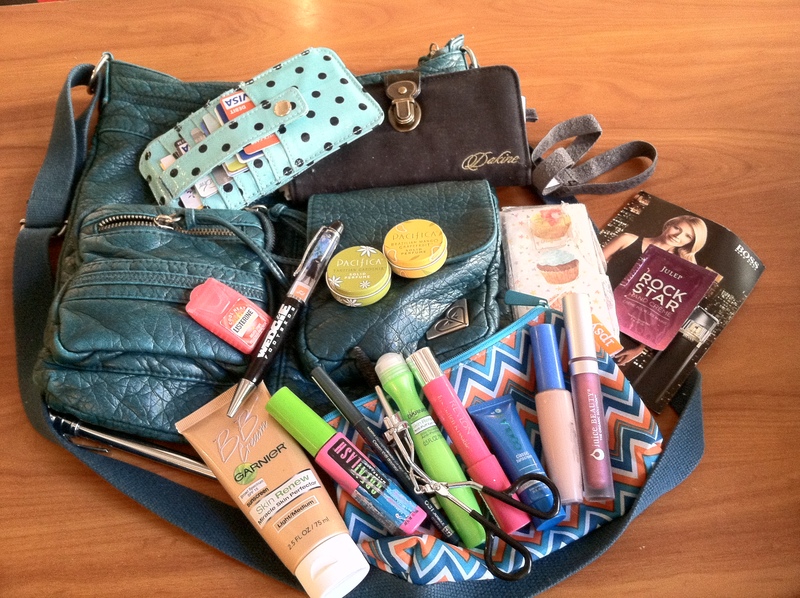 Check out her bag here, and keep reading to see all the junk I keep in mine! 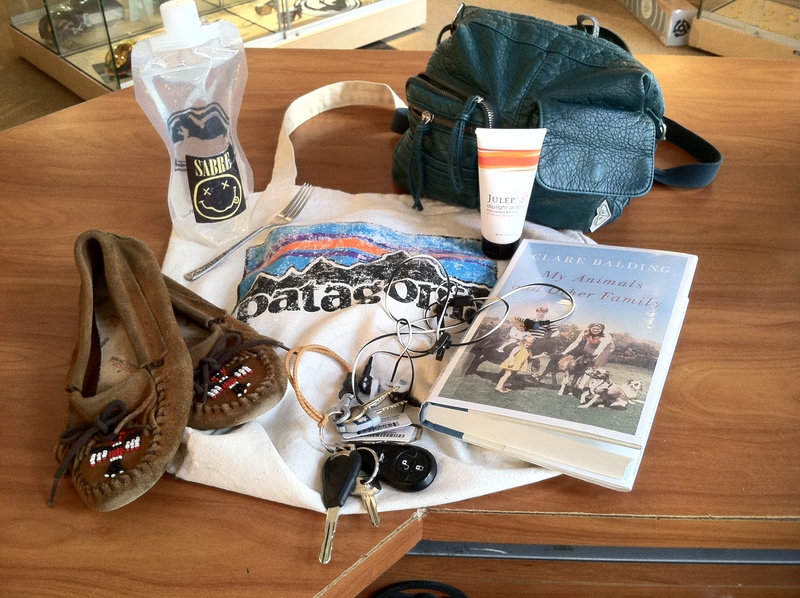 This Patagonia shopper contains: water bottle, purse (bag #2), sunscreen, book, headphones, keys, moccasins, and a slightly dirty fork. So like my friend at Broke College Girl I also carry a purse within a bag. Recently I started throwing my everyday purse into this Patagonia bag so I can carry my usual things in addition to what I want to bring to work that day. This week the boss has been gone, and since flip-flops/open-toed shoes/sandals are normally not allowed we have all been taking advantage of having little supervision and been airing out our toesies. But just in case I’ve been carrying my favorite (thrifted!) Minnetonka moccasins. Honestly these provide little more protection than my Volcom ankle wrap sandals (that I sell in my shop and could model daily), but I digress. I also carry a water bottle from a Dragon Optics clinic this winter (with a Nirvana-esque Sabre sticker from my friend Sam), my keys (my shop key wears a little plastic knit hat that my mom sent in my X-mas stocking, I love it! ), a somewhat clean fork for lunch, sunscreen from Julep, Bose headphones for my bus ride to and from work (lately I’ve been listening to Royksopp Pandora station or Justin Timberlake’s newest album The 20/20 Experience), and a book, since working in a snowboard shop in the summer can get a little sloooooow. My Animals and Other Family by Clare Balding is my newest library acquisition and it sounds like it will be right up my alley, can’t wait to start it tomorrow! I also carry my teal faux leather Roxy purse (thrifted of course!) within my Patagonia shopper. This is the main bag I carry when not headed to work, and it also contains many things that are vital to my daily life….or so I think anyway! Pacifica perfume solids in Tahitian Gardenia and Brazilian Mango Grapefruit. These are only $2 each on their website, and free with a $25 purchase. There are 17 scents to choose from! Use this link to get $10 when you make your first purchase! Disclaimer: I also get $10 when your order ships, so win/win. A tire pressure gauge I am not entirely sure how to use that my husband gave me. My must-haves. 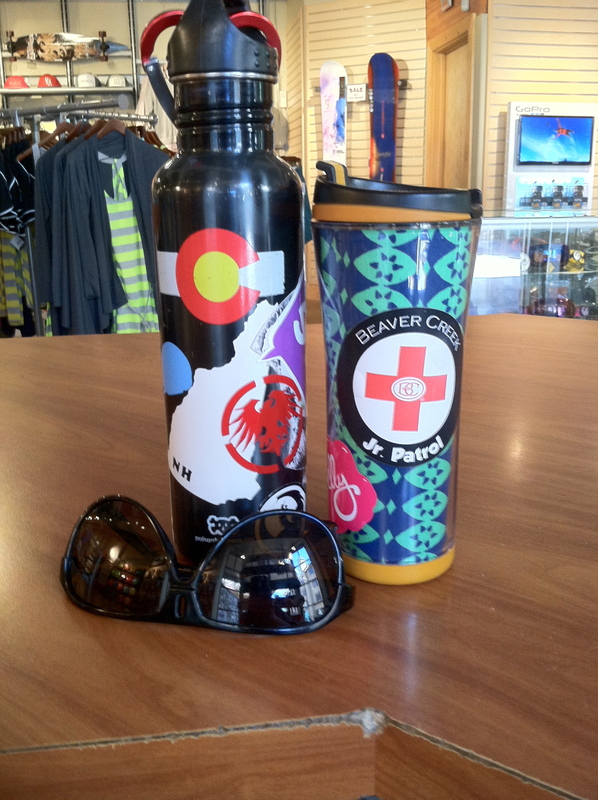 Colorado/NH water bottle, Beaver Creek Junior Patrol coffee mug, and my polarized tortoise shell Experience II Dragon shades. Always have the shades, but the other two always get misplaced, it’s so frustrating! So there it is folks, all the junk I carry on a more or less daily basis. What do you carry every day? Are you more of a wallet-only type, or do you carry the whole kitchen sink? Go visit Broke College Girl’s post to link up your own unbagging or comment below. And if you know how to use a tire gauge feel free to give me a brief tutorial! PS. Many of the things in my bag came from my subscription boxes. If you are interested in these $10 per month boxes of joy I would love for you to use me as a referral. I get points, you get easy access to great subscription programs and other perks, and everyone wins! For more information I really like the Ipsy and Birchbox forums over at makeuptalk.com, go there to see if these subscriptions would be right for you- they are so much more fun than magazine subscriptions! If you are interested in signing up for Ipsy click here to access my referral link. 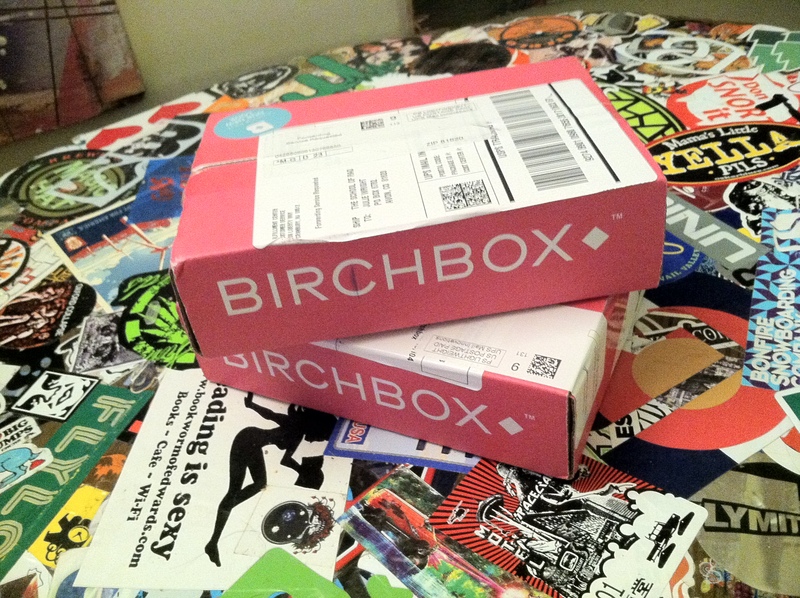 If you are interested in signing up for Birchbox click here to access my referral link. Thanks, love you!